Katie offers the following church music workshops to assist your church in maximising its worship to draw people closer to God and develop people seeking to grow in Worship and Music Ministries. Understanding the essence of worship is vital for those involved in leading worship within a church. The “Essence” workshop, specifically tailored to each church, explores the meaning of worship from a Biblical perspective. 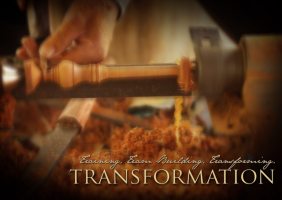 Transformation is a fun, interactive church music workshop catered to individual churches and their specific needs. Effectively applying the essence of worship through sensitively shaping a worship service, efficient team and band communication, and developing strong unity within a ministry team is what ‘Transformation’ is all about. A vocal workshop can be incorporated as part of the workshop, or can be developed into a separate full day workshop. Engage with Katie and your approach to worship will not remain the same. It is a thoroughly worthwhile investment. Given how prominent corporate worship expressed through music and singing is when God’s people gather, having a gifted, skilled and experienced consultant with a pastoral heart is a priceless gift for your church. To find out more about Katie’s Workshops or you need her to speak at a function, fill in the form below so we can discover how Katie can best help you.